Pantone Colour of the Year, what is it and should I even care? Its purple, well violet to be exact, Its a pretty colour, and this means that you will start to see it come though in designer aspects of weddings including gowns, stationary and yes, flowers. To be honest purple tones are already a really popular flower colour choice, But If you would like to incorporate this theme into your wedding planning, I thought I would give you some violet flower suggestions based on the time of year. Summer blooms in purple shades like Hydrangea, Lisianthus, Vanda Orchids, lilac and mauve Roses will help bring in the Ultra Violet pantone tones. Hydrangea is still around until April, and Calla lilly come in some gorgeous purple and very dark purple tones, lilac and mauve roses are a popular choice, and violet Lisianthus is a great purple pop. There are some gorgeous winter blooms in purple tones, Freesia, Hyacinth, and Tulips are stunning, we can also get imported Calla, Roses in mauve and lilac and imported Lisianthus and orchids. 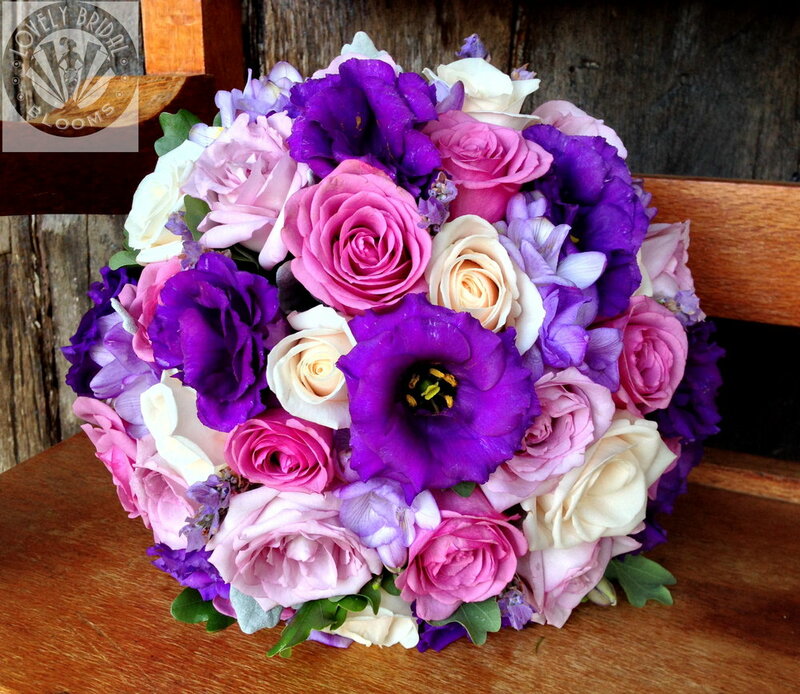 Superb Sweet peas and Stocks in spring, as well as Anemone and Carnations (can get carnations year round), imported Roses in mauve and lilac as well as Orchids, purple Lisianthus is scarce in Spring, as local supply hasn't started and import quality is low. Freesias, Tulips and Hyacinth are still around until it warms right up. Do I have to incporprate Ultra Violet in my wedding? Um no absolutely not! Go with whatever colour scheme you love, but as this is a popular colour to begin with, this colour scheme will flood our Pintrest feeds and wedding blogs in the months to come. Does the Pantone colour of the year really make a difference? The marsala/burgundy tones mixed with pinks and whites is massivley popular, but it has taken a few yeard to filter down into a popular wedding choice. 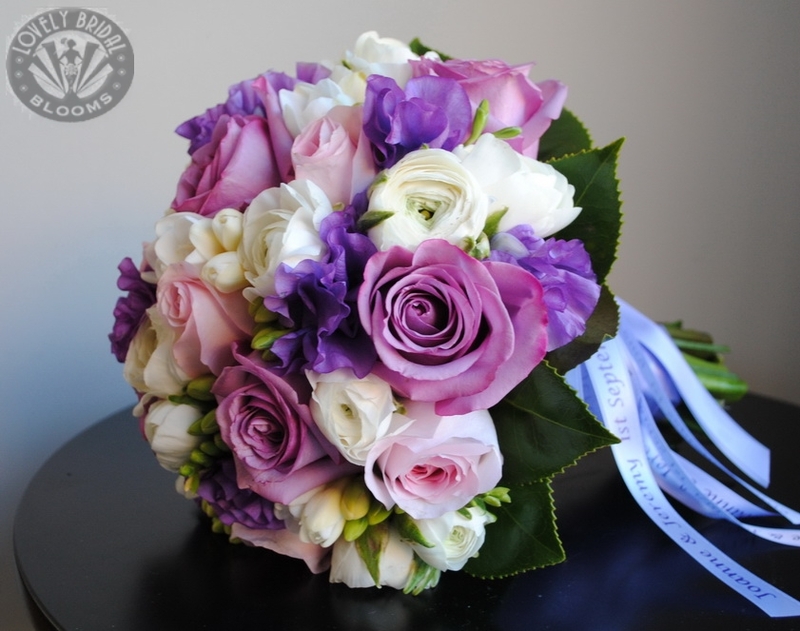 So I suggest that we will be seeing lots of purple tones bouquets for many years to come!